Out of bounds on both sides. 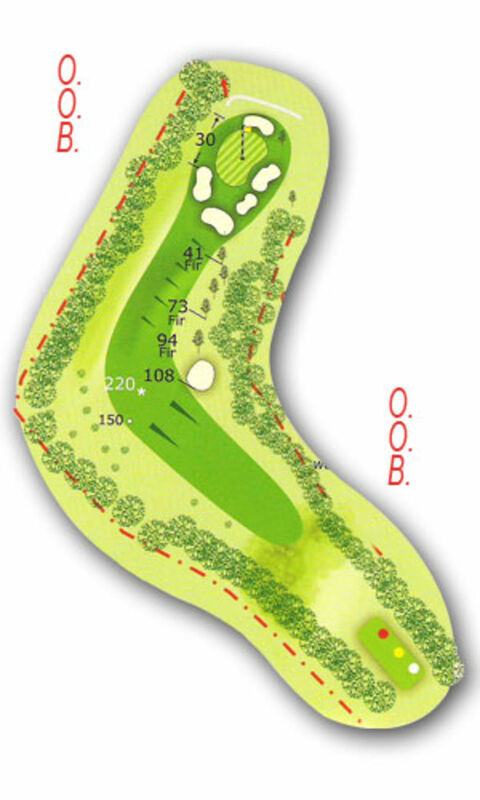 This hole requires a straight drive with the option of biting some of the dogleg off for long hitters. Straight drives are rewarded with a short iron approach shot to the green.